Chris and I love beaches. Ocean beaches are preferred, but we can find peace and serenity on almost any beach. This past summer we did not have many opportunities to relax on beaches. We did make the quick trip to the Bahamas during late-March and early-April which included all-to-brief beach time in both Florida and the Bahamas, but until last week that was pretty much the extent of our time in the sand. Last week during our get away to California, we made it a point to be on a beach for part of every day except for our travel day back to Maryland. 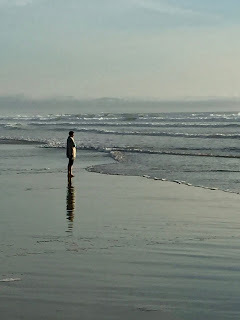 We enjoy the sound of the waves and I believe we are both more centered when we look out at the vastness of the ocean. We take a lot of images at the beach, mostly of the waves and the water. Only rarely do we catch each other in an image and I was able to get a couple good shots of Chris during our trip. 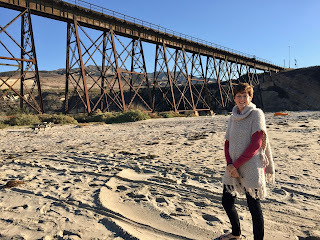 The Gavitoa State Park Beach was interesting because of the train trestle. 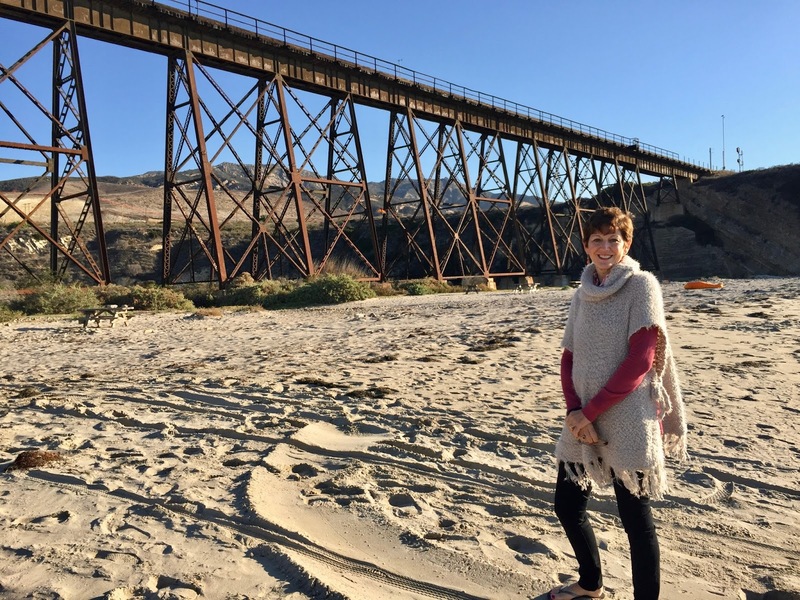 A passenger train traversed the trestle while we were there, but I was too slow with my camera. 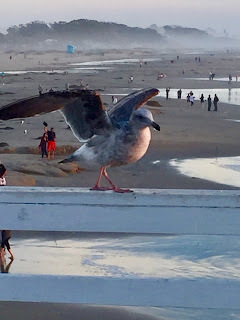 I wasn't too slow, however, to capture a seagull as it prepared to fly away while we visited the Pismo Beach Pier. Capturing wildlife on the beach is always fun. The Pismo Beach Pier was especially enjoyable as we spied, in addition to the seagulls, whale spouts in the distance and otters feeding just off the pier. I had never seen ocean otters before and I initially thought they were harbor seals. Silly me, harbor seals don't lay on their backs in the water and eat! Duh! I know that I probably should be writing about the recent election or discussing the impending Thanksgiving holiday (which is less than two weeks away) but, beaches are far more interesting at this point. There is plenty of time to write about politics and holidays. 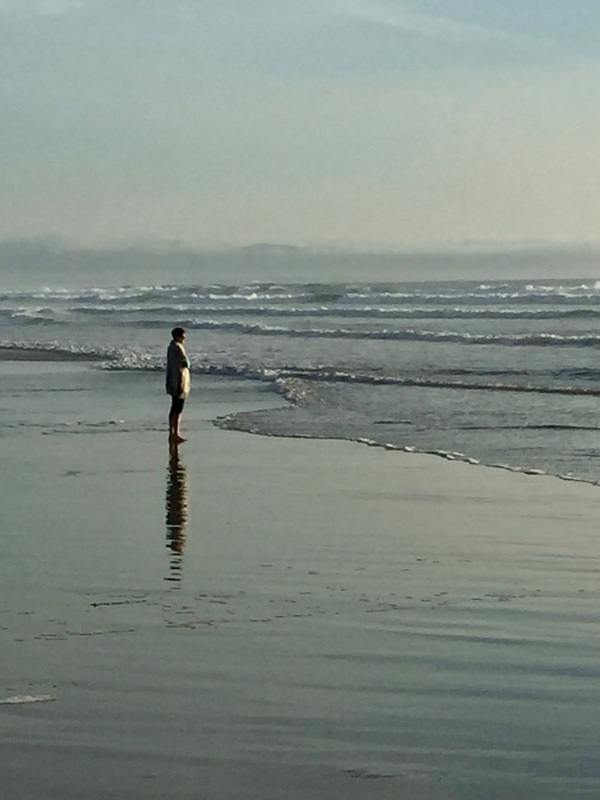 I spend far too little time looking out at the ocean and contemplating the vastness of the universe.